CGI Strategies has a new plan for its proposed mixed-use tower in Hancock Park on the Fairfax District border. 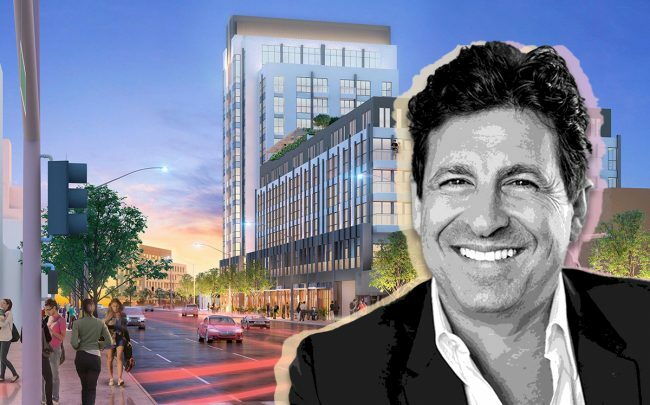 The Woodland Hills-based developer is now looking to build 121 condominium units and a 125-room hotel at 639 South La Brea, according to a filing published with the Department of City Planning. That proposal is sharp shift from its initial plans filed two years ago, when CGI requested approvals to build a 160-unit apartment complex instead. There were also no plans for a hotel at the time. The most recent iteration would include demolishing the low-rise commercial buildings at the site to make room for a 12-story building. In addition to the condos and hotel, the project would also feature 13,000 square feet of retail. Renderings by Killefer Flammang Architects portray an Art Deco-style structure with ground-floor retail. CGI, led by Gidi Cohen, has been actively investing in Los Angeles real estate. In June, the firm filed a plan to construct twin seven-story buildings in Koreatown that would add 173 units to the neighborhood. The company is also working on another multifamily project nearby, a 121-unit tower on Mariposa Avenue.